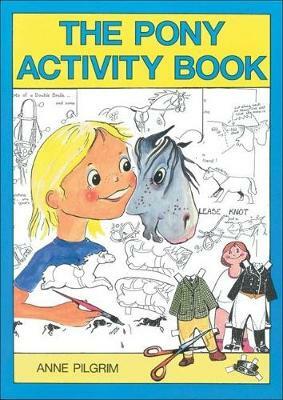 What more perfect way to fill those long, boring hours spent out of the saddle could be found than those spent with scissors, paste, and the "PONY ACTIVITY BOOK"? Packed with amusing, useful and educational ideas for things to make, many of which are designed to be cut straight from the page, this book will provide hours of fun for pony lovers. Just some of the attractive things to cut, paste and fold are decorated party straws, badges, standing ponies, birthday cards, a merry-go-round mobile, thaumatropes and decoupage. Many really practical ideas include a pony fly fringe, a novelty riding hat cake, and a pony poncho.